Night terrors mostly happen outside of REM sleep. Although this cannot be stopped once they begin, you may take preventative measures to lessen their frequency and improve your child’s sleep. Toddler bee stings can cause serve reactions such as hives, difficulty breathing, etc. 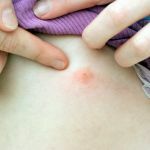 Bee sting in toddler shall be treated with great care and seek medical attention may be required! How to get toddlers to stay in bed can be challenging for some parents. There're several useful tips such as establishing a rule to get toddlers to stay in bed. Explore more tips! When can toddlers sleep with a pillow? 1 year old would be the safest as the risk of suffocation reduces considerably by this time. Here're 3 guides to safely introduce pillow to toddlers. 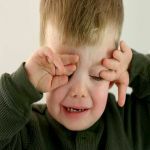 If you are at a loss as to what to do when your toddler won't nap, simple tricks like using sound techniques and setting a naptime ritual can help save you from battling. There are various techniques to use if your toddlers won’t sleep. You need to create and reinforce consistent sleeping pattern in them and offer a safe environment. Sleep training toddlers is rite of passage all parents must undergo. While it can be difficult in the beginning, mastering the right techniques makes it easier! 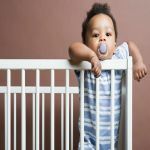 The transition to a toddler bed from crib is a big one in your child’s life. It is important to know when your child is ready for the change and how to make this transition easier. 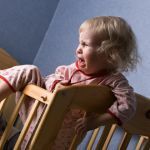 Toddler climbing out of crib is just a phase that the toddler will outgrow. Safety tips should be noticed. Also, it may be an indicator for you to move your toddler to a bed.